Since 1996 the Mercy Foundation has recognised an individual, group or organisation with a clearly notable record of work for change in social and cultural structures that impoverish and disempower people. The Mercy Foundation Social Justice Award was established by the Mercy Foundation in 1996 to mark the United Nations International Year for the Eradication of Poverty. In August 2014 the Board made a decision to name the annual social justice award, the Cath Leary Social Justice Award. This is to recognise the significant social justice work made by long term member of the Mercy Foundation Board, the late Cath Leary. Cath died after a short illness and well before her time, in June 2014. 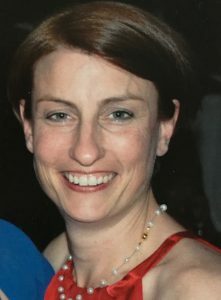 Cath Leary had a background in education and community development. She worked as an educator in schools and then later managed the education team at Caritas Australia. More recently she was International Programs Director for Mary MacKillop International. She had a Masters in International Social Development from UNSW. Cath was a member of the Mercy Foundation Grants committee for almost 10 years and had also been a member of the Board since early 2009 – for the past 3 years as Deputy Chairperson. She is remembered by all at the Foundation for her good humour and kindness and very acute – but gently given – sense of social justice. She worked tirelessly for people and communities who needed a voice, needed change and needed respect. She was ‘at the service of human dignity’. The focus of the award is on individuals, groups or organisations that have made a major contribution to addressing key social justice issues in Australia. Note that in awarding this prize, the Mercy Foundation Board takes into account activities which are currently underway or have been completed within the previous 5 years. The important goal of addressing systemic social justice problems in Australia. The importance of work which is aimed at changing the things that cause people in our society to live in poverty, have inadequate access to education and/or employment, or experience homelessness or housing insecurity. The importance of doing this work in a way which demonstrates an attitude of fundamental respect for all people. Working to develop increased opportunities for people living in poverty. Advocacy activities – speaking up about and promoting solutions to structures and systems which contribute to inequities in our community.